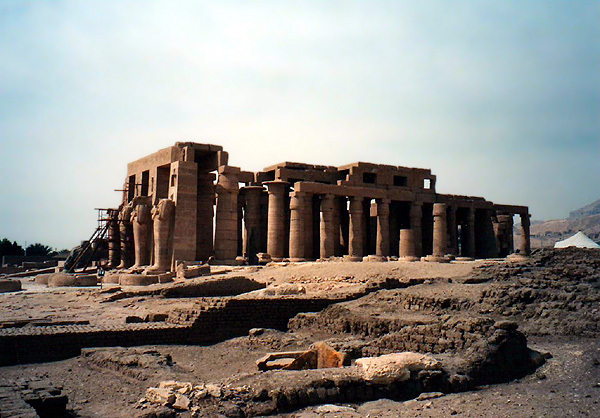 The mortuary temple of Ramesses II is situated on the west bank of the Nile. 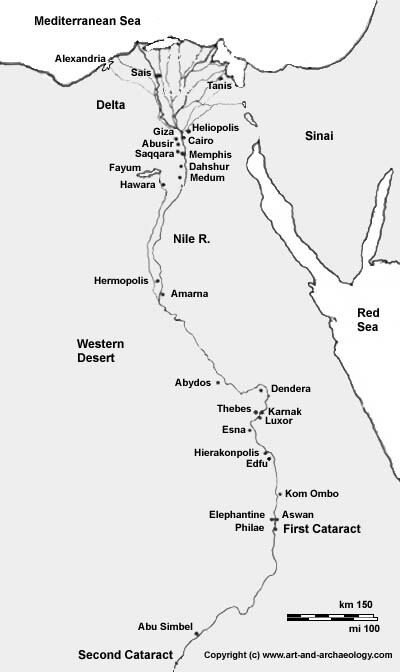 It faces east to the temple of Luxor across the river. This photograph shows a side view of the second courtyard and hypostyle hall; less remains of the first courtyard, which is mostly out of the photo to the left.